WIDE APPLICATIONS: Light and can be foldable.Best for Camping, Hiking, Cycling, Running, Jogging, Workouts Gym, Summer Camp Travel ot other outdoor activities. UNIQUE DESIGN: When empty, this Water bag can be folded, rolled or flattened and stands when full. What #39;s more the hook design for easy carrying around your hands, backpack. 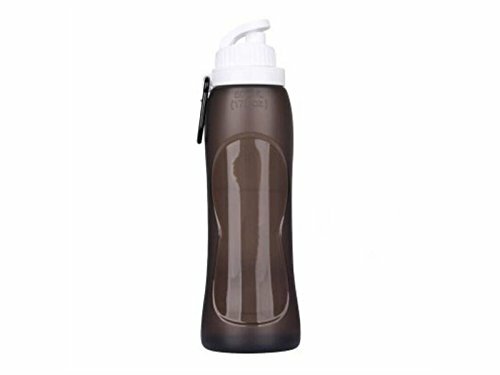 Foldable and Flexiable: Used the top quality and flexiable materials.The Water Bottles are designed to stand upright when full and can be folded, rolled up, or laid flat when empty. UNIQUE DESIGN: When empty, this Water bag can be folded, rolled or flattened and stands when full. What's more the hook design for easy carrying around your hands, backpack.